all the fun breeding work is being done with them, along with other genetic pools. It used to be "heirloom" meant colors, sizes and shapes not found in the supper market. Modern meant red, round, 5 oz. tasteless hunks of concrete. Not anymore! About the only thing I can say about "modern" V.S. "heirloom" is the year they were first released or noted in historical records. There is also a general feeling that "heirloom" means delicious and wonderful. Not so. I have tasted many heirloom varieties and they have been gag-inducing. Many of the best right now are varieties are ones that have been released with in the past decade. This is not only an issue of flavor but, in addition, beauty. This also includes hybrid (F-1) varieties. Throw away all notions of what makes a good Tomato. The only way you will ever find YOUR perfect Tomato is to try new ones each year! Isn't that what makes growing a garden fun anyway? If you are needing full flats of single varieties (you have a big garden or are a wholesale customer) please, if possible, let me know prior to about the 15th of February. I do my main planting about that time. I just want to make sure I have available what you need. When you grow as many kinds as we do, it is hard to decide what is going to be needed in large numbers and what will be just a handful of required plants. For the most part, I aim to have all varieties ready about the last week of March thru the month of April. If you want to have your order pulled and waiting for you(always a good idea! ), just drop me a note at least a day prior and we will have it ready to go for you when you arrive. You will notice I am updating a lot of information below to include growing notes from OUR gardens- things such as weight of the typical fruit from each type. Also, the photos I have uploaded are not just perfect specimens- just the typical ones we would find for each variety. As a point of reference...the Bonnie racks you see everywhere charge $3.48 for each plant with a very limited selection. For all the types we grow, typically you have to order online. They will average you $5 or more each without shipping (check it out!). A couple quick notes on culture. If you have problems with blossom end rot, be sure you are using a pelletized lime product. It is cheap. I usually work in a few tablespoons in at planting time being careful not to concentrate it to much around the immediate root area. Later on at about bloom time, I will do a little side dressing with the same product. Our soils tend to be deficient in calcium- one of the triggers of this problem. Certain strains of Tomatos tend to be more susceptible to blossom end rot. I see it often in Paste type Tomatos. The other reason, along with calcium deficiency, is erratic watering- something I am often guilty of. Last year, with all the rain, blossom end rot was hardly even seen in our gardens. If you are using a liquid fertilizer like, say, MiracleGro, you MUST use it weekly. So often I ask people who are having poor growth if they fertilize- they say "Yes". When I question with what and how often, they will say MiracleGro- only two times all Summer! Weekly. No exceptions. Otherwise use a standard 13-13-13 or the like. BTW..many people do not know that liquid fertilizers (like MiracleGro) can be absorbed thru the leaves. Just make sure you are following the dilution directions correctly. The varieties of Tomato plants we are offering to you are remarkable! Forget going to the box stores and getting a "choice" of a few kinds- the same old ones each year. There is so much fun to be had growing the many unique strains. Why settle for the ordinary. One thing I would like to touch on- you all know the Bonnie Racks at all the Walmart stores etc. selling tomatos. Those plants have often been treated with growth regulators. This is a common practice among large growers. Great for them, not so much for you. What these chemicals do is retard (temporarily) the growth of plants. Adds a lot of "shelf life" and, in addition, causes the plant to take on a very deep green color. They look great but there is a waiting period for this stuff to wear off. You need your plants to hit the ground running- we have to beat the heat for pollination. My plants are never treated with growth regulators. Below you will find a listing of the many Tomatos that fall in to the "Cherry " class. Typically, this group are just plain goof-proof. Even a "bad" gardener will do just fine providing a few requirements are met- primarily a good, sunny spot and a reasonably good soil. Add water and periodically a shot of fertilizer and Ka-Boom! An avalanche of delicious little nuggets in so many colors, shapes and flavors! In addition, the Cherry group handles our Summer heat with very little trouble. When night temps start to stay at 80 degrees and above, pollination becomes difficult for many larger varieties- often, the Cherries just keep chugging along, always willing to provide a handful of fun. What's not to love about them? I was glad to get ahold of a small amount of this seed- it is hard to find due to the fact it is a new variety and was introduced by Will Bonsall, a small grower. I was happy to pay a royalty on it to help support him. Anyway, this one sounds unique! This is a heart shaped Cherry! Now, add a tough exterior (no cracking and long lasting on the kitchen counter) and a sweet interior and I think we may have a winner here! It is red (of course!!). Due to the strong skin, this one would be terrific as a shish kabob! Be sure to let this one stay on the vine until deep, dark red. Lets try it, sounds like fun! This is one of the few hybrid Cherries I offer. I like this one for several reasons- the color, the intense sweetness (very high on the Brix scale) and a rather controlled growth habit. It might be a good candidate for container growing. If you have grown some of the other hybrid Cherries such as Sweet Million or Sungold and loved the super sweetness, try Apricot Dreams. not often seen but so worth it! Blackish/dusky purple red fruit with a complex flavor . One of the best! Heavy yields are the norm. This variety has been gaining huge popularity over the past few years. A heavy producing yellow cherry that is nearly perfectly round- very bright color and a great addition to any salad. Like many yellow Tomatos, the flavor tends to be on the mild side- not to sweet, not to tart. Pretty and productive! This little guy is a trouper! Years ago I bought this seed (and as far as I can tell, it is no longer available) and really enjoyed it. The following year I realized it had been discontinued from the supplier and I was angry I had not saved any seed. Too bad, right? Wrong. remarkably, a couple years later, a seedling appeared on the side of my house- normally I would have simply pulled it out and never thought of it again. This little thing escaped my notice and began to grow along the ground. Once I finally did see it, this thing was now a monster, creeping and climbing all over everything. Intrigued, I left it alone. One day I went around the house and saw it was my delightful White Currant Tomato! Seemingly millions of tiny pale yellow fruit covered this plant. I made a mental note to collect seed. As is typical of me, I procrastinated..for 10 years. Each year, a new generation would show up, usually near the side of the house. This year, it ended up in an old burn pile sort of in the middle of my yard. I could no longer ignore it- each time I mowed around this area, there it was, right in my face, covered in fruit. I decided THIS year I am going to collect seed- and I did. Ok, that is a TOTAL LIE. I told Lenny to do it, and she did. You can thank her. Anyway, this one is a great, very small, usually a bit bigger than a dime, palest yellow sweet fruited winner. I have never really seen any disease on it, looks strong right up until a hard freeze. Obviously it is bullet proof considering in all these years, each generation has never been watered, much less fertilized. One thing I have noticed aside from the fact it is good; I do not believe this to be an actual Currant Tomato (a slightly different species) but instead just a very tiny true Tomato. This Cherry is most notable for the fact that it is a good choice for making your own sun dried Tomatos! Low in juice and high in flavor, this would make a fun project to try. Cut the fruit in half, place it on a screen and put in full Sun for a few days. Lots of directions on the internet. You can expect heavy production! This is Lenny's favorite. Blue shaded fruit on an unusual looking plant- foliage is very wispy and suffused with a blue tint. Overall, this plant stands out in the garden. Good production and since the foliage is not heavy, the Sun strikes the fruit allowing for good blue coloration. Here is a red Cherry that has 3 odd parents, a large beefsteak Potato leaf, a red grape Cherry and a orange Cherry. Created in 1997, it has now been released by a small grower. Described as having a rich, sweet flavor, it is gaining traction among growers. I am anxious to give this one a try myself! Red-brown pear shaped fruit is a fun addition to the pear class. Like all pear tomatos, you can assume you will have a great harvest of tasty little garden snacks! Very rare black cherry tomato that will make you look twice! Mauvish-black fruit has a very complex and rich flavor- a trait that seems to be very typical in the "black" class of Tomatos. I did notice when grown down in the Victoria, Tx. area (I grow some down there too) it was somewhat more pinkish. Temperature often alters color of Tomatos. If you bought this from us last year and liked it, we will have it one last time this year. A tiny, red Currant Tomato that was touted as the smallest ever. When grown against our collection of Currant Tomatos, it was no smaller than the others and tasted like sawdust with a drop of bat urine. I always give a variety two chances. I was so underwhelmed I might not even do that. This is a cross between ordinary yucky Yellow pear with Bison- a red, full flavored canning Tomato done back in 1934. This created Fargo- much larger, totally better flavored Yellow Pear. At about 1 oz, it is nearly twice as big as the detestable Yellow Pear we find for sale everywhere. Give this one a shot if you have always grown the one that tastes like dog fur(yellow Pear). I think you will like it better! Rare, pale almost translucent ivory colored pear shaped tomatos. Expect heavy crops. Such a good, reliable producer of little gems. Strong plant too. This one always gets overlooked. Too bad- it is truly a nice variety and so hard to find. One of my favorite reds- small and jewel like, you will be stunned with the production. Very sweet, almost candy like to me! My Daughter Karyn, who lives in Illinois, trialed this one (along with many others) and loved it. I believe this is mostly a wild strain. Seems everyone who visits the gardens here taste it and think it is amazing. Old heirloom with yellow somewhat pear shape fruit. 1-1/2" size in large clusters. Bright beautiful and sweet. This is a work horse in the garden. It just seemed to produce and produce on a rather small sized plant. This was a big hit at the farmers market for us! Small and quite blue fruit when sun strikes the growing fruit. Even the plant is dusky bluish colored! Great mixed with other cherry types in a salad! Daughter Karyn LOVED this one in her Illinois garden. Strong grower, it will be noticeable in the garden. excellent blue variety with rich, deep color. Ripen to a dark blue with the usual swirl of reddish colors when fully ripe. In the past few years, we have come to really appreciate this one. Pretty pink tinted grape style fruits- pink is rare in grape shaped tomatos. Nice, sweet flavor, borne in clusters. This is a remarkably strong growing plant. It just reeks of health all season in our garden. This is actually a bi-color cherry..orangy red and lightly striped often has a faint star pattern on the blossom end.. Many people say this is the sweetest tomato they have grown. Maybe, maybe not BUT it is really good and pretty too! This is one of the oldest tomato varieties known. It is a bright red pear tomato- like the awful yellow one we always see around here but with great flavor! Pretty and productive! Palest yellow, almost white, super sweet little fruit that will knock you out with production. I have always been a fan of this one. There never seems to be a moment that White Cherry is not loaded with fruit. For whatever reason, it is my go-to in the garden when I feel like munching while working in the garden. Tess is actually a close cousin of the typical garden tomato. In the class of Currant Tomatos, expect tons of tiny, super sweet little fruit. The plant looks slightly different too, softer and very rampant growing, almost like a vine. Usually the fruit will be red but occasionally, you will see yellow and pinks pop up. Fruit is produced on long, loose clusters. Be aware that this fruit is very delicate and prone to cracking after a rain storm. Big-time Chefs in fancy restaurants demand these for garnishes. Fun to grow, give one a try. This little cherry is unique. Overall, the color is dark- up close you will see swirls green and bronzish purple. It's flavor is kind of unique too, sweet but complex. Very pretty and fun to grow. Like most cherry types, you will have superb production. This one was popular at the market for us. Also one of my garden-snaking favorites! Seems no matter what, Purple Bumblebee always does a great job in the garden. Holy cow, this thing can get huge! I had one a couple years ago that trailed 14 foot along the ground. If you want bucket loads of mid size yellow cherry tomatos, this one is for you. No cracking, strong plant, huge yield, pretty fruit, what's not to love? The flavor is mild and sweet. People are beginning to notice Hartmans for good reasons. I haven't a clue where the "submarine" part comes into play BUT certainly if you want a yellow grape shaped cherry with outstanding flavor, you will want Yellow Submarine. A full flavored little firecracker. This is an excellent replacement for the horrid "Yellow Pear". Nearly impossible to find anymore, you should give this a try. This one will catch your eye. Starts out very dark purple, almost amethyst. When ripe, the shaded areas will be deep red, where sun strikes, it will be so dark as to appear almost black. Amazing to see! In the past several years, this had to be one of the most productive plants we grew. Expect good crops of pear shape little tomatos. The color is actually brick-red with swirls of green and brown. Very unusual and tasty. More oval shaped than little Pear. Frankly, any "white" Tomato is going to, in fact, be palest Yellow. Keep this in mind. It does help greatly in learning when to pick- when that hint of yellow shows up, they are ready to go. Ice is yet another of several, similar white Cherries we grow. As a color group, I find them very appealing- both in flavor and color. I guess that is why you will find several kinds that are a bit redundant. Each however, has some difference. If you are like me, try a different one each year and find the one you like best! White Ice is a strong grower, even in difficult conditions. Even in poor soil I have seen it produce providing enough water and Sun are available. Guess what color this little gem is? Typical of cherry type plants, expect loads of tasty sweet fruit with a hint of spiciness. To me, it seems you should have several different colors of the cherry class. Emerald is a great choice! The name is as cute as the fruit! Truly stunning little fruit- bright pink with golden orange striping. When we grew this one for market, people ALWAYS went for it first! High, sweet flavor make this new variety a winner. Be sure to add at least one of the Bumblebees to your garden this year, you will be glad you did. Deep rosy purple, sweet and juicy but with the old fashioned flavor many seek. Very elegant little cherry! This one always gets a lot of praise. hugely productive, green when fully ripe. The skin is translucent giving it a "frosted" appearance. For me, it took some trial and error to learn to pick at perfect ripeness but once you know, your in for a treat..
Hi! My name is Fat Cherry. Yes, I am the boring red Cherry Tomato everybody knows, buys from the box store and produces a load of red Golf balls. Tim makes fun of people who buy me but I have seen him sneaking around and when nobody is looking, eating my fruit like there is no tomorrow. Ignore him when he rolls his eyes at you. You know the truth- I am a classic! This stunning new cocktail cherry, with its excellent sweet flavor, may just be the best-tasting Indigo yet! Round, 1" fruits have indigo shoulders with rosy undersides and deep red flesh. Expect huge yields - potentially 500 to 1,000 fruits per plant under ideal growing conditions! We have been impressed. I think this is the latest addition to the Bumblebee series. Orangish yellow with light red striping and pinkish flesh. Like the other Bumblebees, it has been hugely productive and fun to grow. We totally love this one! This one will raise eyebrows if you drop them in a salad! Beautiful almost blue/black with a brick red bottom at full ripeness. Make a point to grow a blue form of Cherry- it is so fun to mix it with all the other colors when you serve them. This one is an amazing producer, probably one of the most impressive we have run across. Even when growing in our greenhouse in Winter, this one rocks! This is a funny looking little tomato! Overall it is green but it is splashed with a darker green all over. The shape is somewhere between a pear and a plum type. Good, sweet flavor with a bit of kick. Each fruit is about 1 oz. almost the size of a small Roma. In our garden this year, Mint Julep was commented on quite often due to its beauty. Mint Julep is in my top ten personal favorite list. It is just so...cool looking. This one barely makes it into the cherry class. Cherry sized Romas!! I have seen these pop up in the grocery stores lately . Just the coolest little tomato I think. Heavy clusters of these little fruit will keep you well supplied. This a new one. A descendent of the hybrid Sun Sugar, it has shown itself to be of remarkable flavor and super vigor-described as rampant growth! The flavor has been called fruity with a hint of white grapes. The color is Honey (imagine that! lol). Being a new variety, this one is still desegregating and will periodically produce a pinkish fruited plant. Sounds ok to me. This is another new one that I am looking forward to trying myself. . The centiflor trait, when you see it, really makes you do a double-take. What I am referring to is the cluster of flowers. We all know what the normal cluster looks like- perhaps 6 or so blossoms per stem. Picture a total bouquet of flowers per stem! Often a hundred or more- it is kind of amazing to see, at least to those of us who grow tomatos. Not every flower will set (the plant might crash to the ground with the weight of all those fruit!) but you will still get a huge cluster. This is a cross of the great Sungold and Centiflor Red. Vigor and a ton of tasty orange bite sized little cherries. What more can you ask for? BTW...there are a couple other Cherry types we grow that have the centiflor trait. I always forget which ones until I see them blooming each year. Arresting to see! Easier to remember the English name...Blonde Girl! This is a bright yellow fruited smallish plant with big production! Like Centiflor Orange, it too has the Centiflor trait. Masses of flowers! Easy to grow and well flavored. You should try it. I suspect it would be a very good choice if you are a container grower. By "standard" I simply mean normal size. A note about the color "black". There certainly isn't a black Tomato (yet). Instead, this is a class of Tomatos that fall into a very loose group. This will include blue, brown, deep brick reds, dark purple etc. Generally speaking, "blacks" are multi-shaded with very deep colors tending, but not always, more concentrated across the top of the fruit. Also, as a group, they often have very specific flavors that are highly regarded. The interiors are often very richly colored too. Be sure to try some of these. A lot of breeding work is being done with these colors and each year, new ones are coming out- mostly by small breeders. We can thank these guys for all the outrageous colors that are now coming to us. They are so much fun to see! This is a hybrid created in 1980 by the Ferry-Morse company. Strong production on a semi-determinate plant. Fruit size is fairly large (like Celebrity) with good disease resistance. Multi-purpose, can them, slice them or make some Salsa! Ok, the name alone ought to make you want to put this in your garden! Developed by Double Helix Farms up in Conroe, Arkansas, this one was a surprise for us. A truly ugly color green, suiting its name well! What was interesting was that it is actually very good! The trick is to learn when to pick it. I was growing it down in Victoria while Lenny was growing it up in Elysian Fields. I picked mine, bit into it and I spit it right out with a couple curse words. I figured cool name or not, I will not offer this to my customers. When I got back home to Elysian Fields, Lenny had hers ready for a taste test. I made a face and said "No Thanks!". She could not believe that because she had been eating hers and loved them. So, I took a small bite and...WOW! It was very good! True, classic Tomato flavor leaning a bit on the sweet side. Turns out I had picked mine to early and I suspect I had been growing mine too dry (soil in Victoria is pure sand, like a kids sandbox). Her plants were huge, mine were a bit stunted looking. So, if you do not like it, wait a bit, and try again. All the sudden the flavor is terrific and very juicy! Average fruit size is about 3-4oz. with heavy production. I like Mule Team. I like the name. I like the way it grows. I like the flavor. Can you tell I like it? Really, this old timer should be tried in your garden. I has a lot going for it. 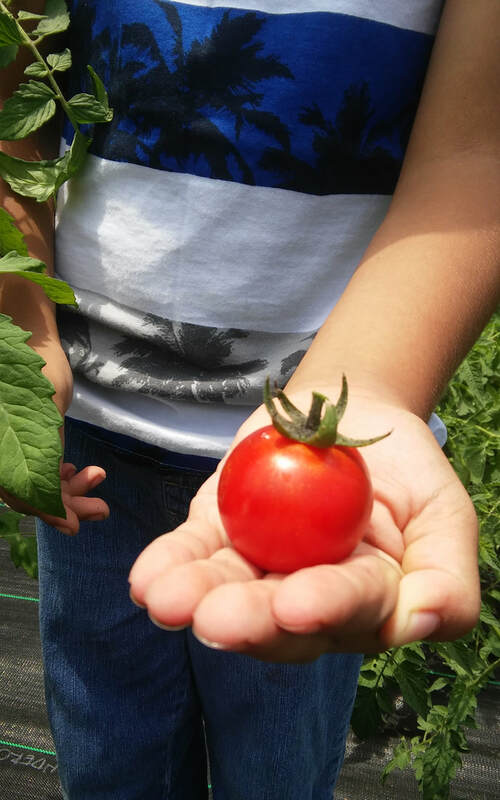 Big, bright red fruit (12 oz average in our trials) and strong, problem free growth makes it a super choice for people who like a traditional Tomato. I could easily see a person planting a whole row of these. I grew this in the late 90's as Wonderlite. When I ran out of seed I went to reorder it and it was not available anywhere. I did not realize until years later that it had been renamed and it was right under my nose! Now I have seen it under both names. This is a really good plum/paste type yellow. Not really a big plant but has good production of bright yellow fruit- no real undertones of orange. The flavor is quite good too. It comes in at about 4-5 oz and is rather meaty. The original seed was collected in Moscow in 1991 by Kent Whealy, a noted Tomato expert. BTW..yes, it does look a lot like a lemon- pointed on each end. This terrific hybrid has a lot of fans out here with us, as well it should! Very large (1+ lbs are common) super good tasting red Tomatos that really show vigor. Very strong disease resistance too. A real winner in the garden in all respects. This is a really nice one. I never skip planting it in the garden. About 2 inches long and rather narrow, it is a soft yellowish pink. This one is very nice sliced long-wise in a salad. The flavor is calm and pleasant, as is the growth of the plant. Size wise, it sits between a Cherry and a standard Roma type. Hard to classify but a true beauty that I should probably have listed in the Cherry group. This is the classic, huge, misshapen delicious red slicer our Grandparents all grew back in the day for the perfect BLT! As is typical for your big beefsteak types, production is not huge but each fruit is. An acceptable trade off if you ask me! If you ask anybody to name a Tomato, chances are this is the one they will say- and for very good reason. One of the oldest continually produced hybrids, Big Boy never goes out of style. Since 1948, people have planted Big Boy for its dependable production of huge, bright red beefsteak style fruit. I have sold Big Boy for years. It is one of those "must haves" when you work in the greenhouse biz. Honestly, I was tired of growing and selling the plants. Same thing, year after year. I remember thinking as I watched customers walking away with their beloved Big Boys "Cant you try ANYTHING different?". Recently, we did a massive grow out of all our varieties. Grudgingly I planted Big Boy along with all the others. About all I have to say is I am ashamed of how I felt about Big Boy. Pretty much Big Boy punched me in the mouth for talking dirt about him. Man, what a great, huge Tomato. This hybrid too has been in existence for over 50 years. Different from Big Boy in that it is not a beefsteak type but instead a large (12 oz) smooth super heavy production style plant. Outstanding flavor, along with the ease of growth and almost sure-fire production, this hybrid has stood the test of time. In fact, I think this variety is the Guinness record holder for most production from a single plant. Impressive, huh? Developed by Auburn University, this terrific plant can handle our heat without any problems! In our big grow out, Atkinson came out way on top, something I truly did not expect. Seemingly endless clusters of huge (between 8oz and 1lb) perfect, almost blocky bright red fruit that were blemish free and great tasting. We also found Atkinson did very, very well as a Fall/Winter variety in our greenhouse. This variety holds its own against any hybrid. If you need a main crop dynamo, Atkinson will be a truly good choice. I love Charlie! For some reason, people always pass this one over and I must change this! This is a charming little Tomato- it is often vaguely pear shaped about 4oz or so with ruffles or pleats running lengthwise down the fruit. Basically, it fits perfectly in your hand. Now, to top it off, it has great flavor and sometimes outrageous production. I like Charlie when you slice it across its width and put it in a salad, the ruffles show very nicely- quite elegant in fact. It even does well as a Fall Tomato. To bad I have the most awful photo of it. Just buy one, shut me up, ok? Developed by the University of Arkansas, this vigorous plant has a following for good reason. Fruit averages about 6+ oz with a flavor that matches it color- bright and tangy! Meaty and juicy, you should enjoy this one as much as we do. Able to withstand heat and humidity- something we all need in our gardens. Lenny says this one is great for processing too. Bad name, great Tomato! A hybrid, Polbig is a great performer for us. A truly red Tomato, you will notice it is also very meaty. The other notable thing about Polbig is that is has a very bright, tangy Tomato flavor. We found this perfect for use on sandwiches. The flavor blasted right thru all the gooky Mayonnaise and stuff like that. On average, the fruit was almost 9oz. which means it was quite good sized. Typical of hybrids, it is easy to grow and disease resistant. This Tomato is often considered the "gold standard" among home gardeners. A hybrid, this variety was developed and released in the early 80's for tough Texas growing conditions. It was so adaptable that its fame spread far and wide. Predictable, heavy production of 8oz. firm bright red fruit with good flavor along with strong disease resistance made it the perfect plant. This is one of the most popular varieties around. Celebrity, watch your back...here comes Bobcat. Also a hybrid, Bobcat is every bit as good as Celebrity- maybe better. I like the flavor better and the fruit tends to be larger, prettier and earlier. Production is top-notch and the disease resistance is terrific. If you have been a long time Celebrity grower, give this Kitty a chance. You might become a convert. I certainly have. There are always arguments about which is the "best" in each color class. Many people say this is the one. Very popular in many parts of East Texas- that alone tells you something. We do not have the best climate for the big beefsteak types. Really delicious flavor, mild but far from bland. Like many of the orange beefsteak types, a slice of this is perfect for your sandwiches because they are not sloppy juicy. You can plan on a lot of one pounders. Quickly becoming the darling of connoisseurs, Paul has a distinctive rich, flavor often referred to as "smoky". Falling loosely into the black class of Tomatos, think of the darkest brick red with hints of brown. Probably you ought to try one, see what all the fuss is about! This one is big, pink and popular! Introduced from West Virginia in the 1940's it is as popular as ever. Wonderful, old fashioned flavor that I tend to find in these big pink types. This is one of Lennys' favorites. It is so unusual! Kind of a big heart shaped solid fruit. The coloring is very distinctive too. Overall, it is pink but across the top, it will shade into a yellowish, pinkish- I don't know, hard to describe. Something about this one is satisfying to grow and look at. Same thing when you have it in your hand, its weight and solidness just feel "right". I am sure you long time gardeners know what I mean. The size is very good...around 10oz + and the flavor is out of this world. We really enjoy this one. Lenny can pronounce the name effortlessly. I make a bunch of jumbled noises. This is one of those varieties that I was reminded in our big grow out just how good it is. Solid, thick walled with just the right amount of juice. The flavor, to me, is more on the mild side, unusual for a production Tomato. Not to sharp, not to bland..mellow. The size is pretty large...around 6-8 oz. with very good production. If you plant a long row of Tomatos for canning, this would be a super choice. Like Ace 55 above, Rutgers in our grow outs, reminded me just why it is still so popular after many years. I happened to notice a group of plants that were loaded with deep red clusters of medium size fruit. Lenny said it was Rutgers. I do not know why I was so surprised. I went over and looked closely and then tasted them. Terrific. This, along with Ace, are classic farmers market Tomatos. This is a good choice as a main crop tomato here in the South. Developed in Charleston, South Carolina, it has the ability to set a good crop of fruit in spite of heat and humidity. Expect a good solid crop of 7-8oz (pretty large) scarlet red Tomatos. This plant is rather large and needs sturdy support. Flavor is very good and it is a true multi purpose Tomato! Slice it, can it, toss it in a salad. You wont go wrong here. I like this one. Strong, bright Tomato flavor is what I think of when Thessaloniki comes to mind. A Greek Tomato that has been around in the USA since the 50's. Has about average weight of 5-6 oz and bright red fruit. You should not have any issues with this one. Ok, this one has almost everything going for it. It is big..14 to 21 oz. -in our garden, it is beautiful, and it is amazingly delicious! Me and Lenny both went nutts for this one. Easy to grow and easy to love. I am willing to bet once you see and taste this one, it will be a permanent addition to your garden each year. That's not a bunch of hyperbole. Of Chinese origin, this brightly colored Tomato is a very strong grower with heavy production of 4.5 oz fruit that are somewhat heart shaped. Has a "big" Tomato flavor that we found to be very satisfying. We liked it a lot! I believe Black Prince was the first of the "Black" Tomatos to be offered at the commercial level. I remember plants being occasionally available around 2002. I sort of ignored it then, figuring it was a novelty like a horrid variety called "Mr, Stripey" that was being offered at the same time. What a fool was I. After years of snubbing it, I got some seed and started it. Then, get this- when Lenny and I were planting our own Tomatos, I started to run out of room and I simply tossed a couple of Black Prince, still in their pots, into a row of Blackberries. I did not want to waste space on that "stupid" Black Prince. A couple months later, I noticed a huge Tomato plant erupting out of the middle of a row of Blackberries. Of course, it was those Black Prince I tossed in to that row to die. Totally neglected, swamped by Blackberries above it, STILL in the 4"plastic pot (rooted out of the drain hole in pot) there it was, healthy, beautiful and with a good set of fruit. Once ripe, to my chagrin, they were delicious. All that being said, this Russian Tomato is often described as Garnet colored and that is just about right. Not big, between tennis and Golf ball size, something about the total package is just right for snacking right in the garden. Ok, I have said enough about Black Prince. I think that Jet Star was the very first Tomato I ever grew! Madonna, Michael Jackson and I were all young...sigh. Maybe I will mail one to one of my Grandkids. Ugh. Anyway, Jet Star is a hybrid that was introduced in the 70's and has truly stood the test of time. Great production of slightly mild, large (around 8 oz) fruit on healthy plants will keep you happy! One of the things most people remember about Jet Star is the flavor. I have not offered Jet Star up until recently. Absolutely no excuse for this! You all may notice this year I am growing a fair number of the "reliable", easily found varieties along with my usual over-the-top selections. Early Girl is one of these. An older hybrid, Early Girls' fans are legion. Lots of mid-sized bright red fruit on disease resistant plants. Also, of course, they tend to be one of the first to ripen in their class. Flavor is great too. No way it would have survived this long if all the above factors were not in place. large, almost beefsteak type vibrant orange fruit that is regarded as very low acid. Jubilee has been around forever and a day. It has stood the test of time and tends to be pretty well adapted to most areas. I am almost certain this is the strain my Great Grandmother grew in her garden each year when I was a kid. This past Summer('18) we had a severe drought which caused extensive damage to my Tomato plantings. Oddly, Jubilee seemed to shrug off the worst of it and continued to produce quite well, offering up its delicious fruit when others had given up. Black Russian is one of the now many "black" class Tomatos that are really catching on with foodies. The reasons for this are well known- as a group, they have a distinctive flavor, quite rich and full bodied- a bit hard to describe but really good. Black Russian is on the smaller side at about 4 oz.- a good size for salads where the rich deep brownish color can be appreciated. rather easy to grow, if you have not yet grown a "black", why not this one? Another of the great huge pink Tomatos I am fond of! One and two pounders are the norm for this big sweet slicer. Usually the blossom end is pretty smooth unlike many of the large beefsteak types. This is the kind you use for BLT sandwiches! . Once very popular, now getting attention again, Jersey Devil is unique. I guess you would classify it as a paste type only cooler! About 6 inches long, the fruit will be pointed, plump and almost twisted! Thick fleshed, they are perfect for those of you who like to make sauce and can up a load or two. Very productive and vigorous plant. Great flavor makes them wonderful for fresh eating too! Oval paste type tomato, Rio is similar to Roma except larger and better flavored. If you like Roma, try Rio as your main crop for processing- it out produces Roma hands down. You might like it much better! Quite good as a fresh tomato too. Because Rio (and several other paste types) is simply so much better, this will probably be the last year I will grow out Roma. This the old time variety that has been grown and loved for a very long time. Large, heart shaped fruit with a lot of density and, of course, flavor! I remember Oxheart types from when I was a kid. A neighbor grew them and I was always intrigued by the "weird" shape of his tomatos! A true classic, this huge nearly perfect tomato has stood the test of time. If you are one of those type people who like to "baby" a plant in order to get a massive fruit, this would be a great choice! A 2 pounder is not rare. This is a very rare variety. I have had it for a number of years and I am just now starting to see seed coming available from other sources. What makes this plant so special is that it is covered with fine, dense, silvery white fuzz! This one jumps out at you in the garden and is, to my eye, beautiful. The fruit is on the smaller side, about 4oz and produced in abundance. The flavor is very good too! You really need to grow this one. It is pretty unlikely any of your gardening friends will have ever seen it, much less grown it! This is a mutation of Red Angora. Speckled Roman is a heavy bearing, richly flavored Roma style tomato that also happens to be quite unique in appearance. Thin, wavy orange stripes! This is a modern variety that shows just how much great breeding work is being done. This one is currently on my top-ten list of cool. Why be just plain 'ol red?!? A small plum style tomato that will dazzle you with its heavy production and terrific flavor! It also falls into the class of "black" tomatos- these are becoming the darlings of great chefs due to their rich flavor associated with this pigmentation. And then there IS the great name! Imagine pointing out this plant and telling a kid its name! This one blew me out of the water last year. There was just something so pretty and unique about it. About 5oz, this one just is hard to describe. A delicate multi-color beauty that had a great flavor. When you grow a bajillion kinds of Tomatos and you can actually visualize it perfectly in your mind months later, you know it is something special. First introduced in 1914, Porter was developed in Stephanville, Texas by V. O. Porter to withstand the awful Texas growing conditions. He succeeded considering this variety is still going strong after all these years. Porter is not going to knock you over with big fancy Tomatos but instead, impress you with the fact that it will produce lots of smallish bright red fruit under poor growing conditions. This is a real no-brainer for those of you who like to can. Porter is one of those varieties that lacks a fancy name and produces an unremarkable, good, solid red fruit..easy to overlook in a list as long as ours but worthwhile in all respects if you need a tough as nails strain. This is a hollow Tomato! For those of you who are into fancy cuisine, this one is for you! Large (10 oz.) pink, kind of ribbed hollow fruit made just for stuffing. You will find an easy to remove core type structure in the center with the seeds attached. You can also make Tomato rings for your salad. Interesting, huh? I have just seen a recipe to use these Tomatos for cold Tuna salad. That sounds delicious. This is a perennial favorite of mine. I have grown it for years. Lemon boy is a clear, true yellow with out any orange cast or shading. What makes it remarkable is the production. I have had years where nearly every other type failed due to weather but there, chugging along, is Lemon Boy. One year, disease pressure was so high that it had nearly defoliated- but still, bright yellow Tomatos were hanging all over. This is a good example of hybrid vigor. It is even a great producer for the Fall garden. If you are a red Tomato person and the idea of any other color bugs you, try this one. You might become a convert to the world of "other" colored Tomatos! You all know Roma, the tried and true canner and sauce tomato. I actually like them in a salad since they are rather low in juice. Roma is a true determinate- sets all it fruit at once. No waiting around to get enough to process. It comes on all at once. Probably this will be the last year we grow Roma. There are just so many better performers in the same class for you to grow- look at Rio for instance. Willy was one of the "early" heirloom (gag..over used word) tomatos that has been popular since the interest in old varieties got started. Good reason for this- it is a very good Tomato! Disease tolerant, productive, crack-free with that old fashion flavor people remember. Good sized at 12-to 18 oz., I think Willy is a good choice for a dip into the "heirloom" (gag) pool. How about an outstanding Japanese Tomato that will knock your socks off? Big in every way, this beauty will keep you busy picking huge loads of amazingly great flavored red fruit. This variety is a real work-horse. If you have room for only one tomato, give this one a try. Its heavy production and old fashioned flavor would certainly merit a place in your garden. A winner for sure! This smallish, blocky pink fluted tomato is from Columbia. Low in juice, it would make a good addition to a salad...wont dilute your dressing! Great as a sauce tomato too. The overall shape of the fruit is pear with ribs, usually 3 sided. Try this bright pink beauty for something a bit different this year! An old Maine heirloom bearing 8-10 oz smooth skinned glowing orange fruit with a golden yellow interior. A nice, classic orange that overall is mild but is has a distinct tang in the flavor. I have been more and more impressed with this one as the seasons go by. Apparently this Yankee Tomato seems quite at home here in Dixie! This one has a long history with me and might be the reason I like "other" colored Tomatos. Back in the 80's, before the word "Heirloom" was attached to everything, I mail-ordered some seed from a small specialty seed grower in Ohio whos ad was in the back of some hippy gardening magazine. Having only grown typical red Tomatos, I was intrigued and perplexed at what a "green" tomato would taste like. I assumed it would be gross and weird but, being young and brave, I tried it. As the healthy plants grew, the fruit began to appear. They were huge, and looked so. well, unripe! My 70 year old neighbor, a long time grower of Tomatos came over to inspect these odd things. We puzzled at when to pick them. We knew it was about the right time, all the red ones were ripe. She squeezed and poked at them, and then thoughtfully plucked one she determined to be ripe. She pulled a small paring knife from her pocket and cut us each a chunk. We both bit into our pieces and her eyebrows went up! I smiled..we both were amazed! How could this green Tomato taste so good? Complex, with just the right amount of sweet and tang, it was perfect. Whoda' thunk it? This was the Summer I had my eyes opened to the possibilities of what a Tomato could be, rather than what it "should " be! Next to this plant was Great White, Angora, an Orange, a yellow and several others that were all from Gleckler Seedsman. I grew Double Rich a zillion years ago and really like it. For whatever reason, I just did not grow it again..so many Tomatos, so little time, right? I decided to bring it back for you to try. Developed in 1953 as a joint effort of the University of New Hampshire and University of South Dakota, this variety is noteworthy because in tests run, it was found to have a much higher vitamin C content and other vitamins. Aside from that, this bright scarlet Tomato is rather easy to grow, being both disease and crack resistant. A smallish, medium size fruit, just the right size for canning. Top-notch flavor too. Any long time Tomato gardener will recognize Marglobe. It has been around forever and a day- with good reason. Large, 8 plus oz. bright red fruit, heavy production and a good, old fashioned Tomato flavor keep this strain popular with home gardeners. Marglobe is a terrific choice for canners because it is a determinate plant...most of the fruit will ripen in a very short period of time. In addition, determinate plants are typically not very large. If you have never tried Marglobe, give it a shot- see why it remains so popular after all these years! This old Russian strain has a lot of fans. You will see an odd combination of colors on the skin but overall it is rather brown with hints of other color at the shoulders. Usually this is not a big plant but the fruit is good sized at about 6 oz. As is usual for the "black" group, when well grown, the flavor is amazing. I still hate the name though. Every time I say it I want to cover my mouth and giggle like a school girl. I am a fan of really big pink Tomatos. The Dutchman is a lot like Dester, it will impress you with its flavor and its size. Way over a pound is possible with The Dutchman. This is a very old and at one time, almost extinct strain. This would be a good one for you people who like to baby your plants with extra care. By doing so, you can help it reach its full potential and have a real brag-worthy fruit! I believe this is an old strain from Australia, something you don't hear often. Micado is a smallish pink Tomato with a big, bold flavor! It also has the unique Potato leaf trait just to add a little interest. This one is a terrific salad Tomato. Production is often remarkable. This Mid to large size red Tomato will knock you out with how juicy it is. Thin skinned and tender, it makes a nice addition to a salad. This is a Potato leaf variety that should impress you. For those of you who have grown and failed with Brandywine (that would be a lot of you), Red Brandymaster could be a good choice to try. This is a hybrid form of Bandywine will give you the flavor of Brandywine without the problems of the old open pollinated strain. Very large, meaty pinkish red with typical hybrid production and the famous flavor everyone talks about. Heat got you beat? Try Burgundy Traveler! Performing well in the South, this beauty should really be in your garden. Heavy production with an outstanding old fashioned flavor, this strong grower deserves to be tried by everybody. About 5-6 oz, it is great for both canning and fresh eating. A true all purpose Tomato. Some people have said this Tomato reminds them, flavor-wise, of Brandywine. To me, it has a bit more tang. kinds and like some variety in form and color. The flavor is mild and good. Ok, calling all super Tomato growers! Treat this monster correctly, and you will have a 25ft. freak show! This is the variety I have seen for years in the cheesy slick Newspaper adds, along with Blue Roses and other horticultural foolishness. Usually it is called "Italian Tree Tomato" or some such thing along with a photo of some dork with a bushel basket full of Tomatos on top of his shoulder while standing on a tall ladder. This unassuming red canning Tomato is very rarely offered anywhere. Smallish red crack resistant fruit is just the right size for canning. Like its name, nuthin' fancy, just a good little workhorse. Flavor is balanced and good. This one is often considered one of the best in its class. It gets tough trying to decide the "best" one. I guess that is what is fun about Tomatos, seeing which one is best for your particular growing conditions, right? Goldie is big, over a pound is typical. It has a unique texture, often described as velvety along with a very rich flavor. It reminds me a lot of Persimmon without all the pleats. No matter what- if you are in the market for a big golden orange Tomato, this one should be exactly what you will like! Many of you know how I feel about Brandywine. An over rated, over glorified poster child of the heirloom movement. Heck, even WalMart has this one for sale at times. I have always felt that if this Tomato had a different, less charming name like "Pink Poo-poo", it never would have gotten out of the starting gate. Ok, denigration aside, the flavor is amazing if all the stars in the heavens line up, a cow jumps over the Moon and you live in Nebraska. For those of us in the deep South, Brandywine is a fickle thing. Make sure you get the plants in the ground as early as possible- if your flowers don't beat the heat, you will have very poor production. May 1st is a month to late. Keep it watered, keep it fertilized and if we have one of those perfect Tomato years, you will find out what everybody talks about. I decided to grow some out this year for you folks that are intrigued by all the chatter about Brandywine. One thing interesting is there are quite number of Brandywine strains out there. Sometimes one will do better than another. If you have tried and failed but want to try again, perhaps mine are different from the ones you have gotten elsewhere. BTW..Brandywine has the fun Potato leaf trait. Always interesting to grow! Expect (ok, hope for) a large, pink beefsteak type fruit- with a really great flavor. Just so you all know, I am going to plant some this season too. Every now and then, I will have to eat some Crow. Maybe this year will be one of these. Ok, here we go again with Brandywine. A few years ago, I got some seed of this strain, I did not do any research on it- just planted them. Lenny had started planting them when I walked into the greenhouse. When I looked at the group she was planting, I noticed both Potato leaf and regular leaf plants. I was furious! Obviously I had gotten some trashy seed. I threw all those seedlings out and we did not list them. Seems I recall Lenny giving away those few that she had already planted. Anyway, fast forward to this year. I was doing some research and stumbled across the Black Brandywine strain. Apparently, this strain appeared in a California field of regular Brandywine- most likely a result of a natural cross between possibly Cherokee Purple or another nearby "black" variety. The other thing I learned was that both leaf traits appear in this strain- which indicates it is still a fairly new variety and still unstable. For reasons I still can not fathom, I was intrigued. Maybe I jumped the gun and I should have tried a few of those hundreds I tossed out a couple years ago. Whatever the case, I bought more seed and here we are...lets give it a shot. Reports are that flavor is variable, same as traditional Brandywine, from sublime to subpar. The fruit is quite large and leans to the dark purple coloring. This strain of Tomato originated in Northern Illinois back in 1923. It has a lot of fans here at our greenhouse, we usually sell out. Producing consistant clusters of 5-10 oz. bright red, fine tasting fruit. This is an old Jung Seed Co. strain that that was pretty much synonymous with Jung. This has been a very good grower for us- healthy and productive. Most of the fruit averaged around 5 oz. Flavor is on the tangy side, very juicy and good as a slicer! This would also make a terrific canning Tomato. Fairly early among others in its class and a good looking all around performer. With its beautiful coloring and great, balanced true Tomato flavor, this strong grower deserves a place in your garden. We have been impressed with the volume of production on this one. Lots and lots of 5-6 oz. fruit. This is one of those varieties that really stands out in my mind. This large (average about 9oz.) has a very unusual creamy look to it, hard to describe-palest yellow with a blush of pink. The flavor is pleasant and mild but distinctly Tomato. It also has a very meaty quality to it. Production is quite heavy with strong, healthy Potato leaf foliage. Watching this one grow in the garden is very appealing. Very rare and very desirable. This is another of those tried and true varieties that has been around for a long time and is a trouper. One of its big positives is the fact that it does well in hot humid condition- well suited to Southern growing. Largish fruit (6oz-often larger) that come on all at once make this a superior canning variety. As a slicer, it is great too. Homestead has performed very well for us. Traditional Tomato flavor and color. This is on old, well regarded big pink beefsteak type that has the ability to produce very large pinkish fruit. In our garden, with out any special care, we average about 10oz. Baby it and you can get them way over a pound. The flavor is mild and pleasant. Also known as Hendersons Ponderosa. This a terrific paste type that has impressed us quite a bit. Setting clusters of 3oz. fruit about 4 inches long, it makes Roma look like a weakling. It has more substance than Roma too- giving sauce more body with less cooking down. Flavor is good for fresh eating too! Production and growth are outstanding. This Tomato, in the black class, has an outstanding flavor-very rich and deep. The color is reddish brown and often it will have dark green shoulders. Has a very dark red interior that is appealing both juicy and meaty. Black Krim has been rather popular for the past 10 years or so. It is one of the few that some people can name off the top of their heads as a good black Tomato in our area. The size runs about 7 oz. for us. Most "black" varieties are medium sized or a bit smaller. They make up for it with big flavor. Black from Tula has big flavor AND big size- I do not think there is a bigger one in its color class. The color is the typical deep brownish red, sometimes darker (cool weather produces the darkest fruit) and the flavor is wonderful. Most all "black" Tomatos seems to have originated in the Ukraine region. This is no exception. 10 oz. to a pound are common sizes. This is a good variety for us in the South, it seems to produce in spite of our often hot, dry Summers. About medium size, the brightly colored fruit has a balanced, leaning towards acid flavor that makes it an excellent choice for canning. This is a good main crop choice. Another early 60's introduction from the University of Arkansas, Bradly will impress you with its near perfect sweet, tangy balance that people refer to as "old time" flavor. Good, strong growth well suited to the deep South, you will be impressed with the loads of 6-10 oz. deep pink beauties you will be picking. Great for canning too as it tends to set and ripen all at once. This is a Chinese strain that has done quite well for us. It is more of a bush type, with restrained growth. In addition, being a determinate, most of the fruit will ripen nearly all at once, making it an excellent candidate for canning. As a fresh use Tomato, it is very good too. Fruit is about 4-5 oz. medium sized. The flavor is balanced and traditional. We have noticed that Mei Wei benefits from the addition of lime to the soil to counteract blossom end rot. A fairly common problem seen in many varieties in our area. I always forget how beautiful Sun Ray is until I see it glowing in the garden. The name is very fitting. At about 6-7 oz., Sun Rays fruit is good sized and that intense color goes all the way thru. In Lennys' notes she writes "Big garden Tomato flavor". I think that pretty darn much sums it up. Just a great Tomato you will enjoy growing. What a pretty Tomato. The overall color is red but it is suffused with orange speckles. I am a fan of this look- we have several that have similar patterns. Intriguing to say the least. The interior is solid red. The flavor is typical old style Tomato, quite balanced. It is also very juicy and meaty. Size is medium+ at about 6.5 oz. You should really try one of these color masterpieces. This tomato almost became an orphan for us. I originally bought this seed from an uneducated seller who told me it was the cherry form (also named Tangerine) that I was looking for. It most certainly was not a cherry. I was angry about this when I found out; I was just going to toss out the baby with the bath water and not worry about it. As usual, I had set some in the garden to test it. Well, what a nice tomato this turned out to be! Quite pretty, with a good, solid medium+ size (6 oz) fruit that had a mild Tomato flavor yet was tangy. Mild and tangy don't tend to go hand in hand. Also, it had very low amounts of seed in it. Just a really nice Tomato. I am glad we gave it a chance. I have also noticed it sets even when conditions are less than optimal. There are a handful of varieties that have yet to find their footing here on our list, I grow them each year but they get passed over for ones with fancier names or bigger, bolder fruit. This would be Caribe...poor little guy, nobody loves him- he just can't get any respect. Caribe is a little workhorse; he produces a very nice smallish (3.6 oz.) fruit with an excellent flavor of his bigger brothers. Makes an excellent little slicer for salads and a great size for canning. I like the ones I don't have to cut, just skin them, core them and drop them in a jar. Humidity does not seem to phase Caribe. So, buy all them big 'ol fancy Tomatos...then tuck little Caribe in there- let him strut his stuff! Ok, this one is one of the best we grow in its class. A hybrid, this one just rocks. Huge harvest of medium/large clusters of fruit. Often I have a hard time convincing people to try it. I think the name is the reason for this; the term "mountain" just does not sound like something we should grow in the deep South. It is actually part of a series of Tomatos from the same breeder- all of which have the word Mountain in it. Believe me, when I do get a hard-core Celebrity grower to try it, they ALWAYS return the following year for them. If you need a super production variety with everything going for it, try this one. Of course, the flavor is great. This is an old French variety that is a classic in markets there and elsewhere. I first encountered Marmande back in the early 80's. I was struck by its rich, kind of sharp flavor. Rather flattened with slightly ribbed bright red fruit will be produced in clusters at about 5-6oz. I think many of you will appreciate this one. This is an early red tomato that although it is often sold as a big 8oz. we usually found it to be about half that size in real life. It is a heavy producer and is good for canning- just the right size. Both Lenny and I love Dester. It is such a good looking, solid, delicious Tomato. As I have said before, I am partial to the big pink beefsteak types and Dester is the one that usually comes to mind when I think about them. Always large fruited, seems that one pounders were common, Sometimes they were considerably bigger. This old German always gets rave reviews from taste testers. What an unappealing name; to bad it has to live with it! This is a good paste (Roma) type that has good production of firm red, mild flavored fruits. This is an excellent choice as a canner due to its firm flesh. We use them diced in salads and they work very well like that! Around 2.5- 3oz. each. Yes, this hybrid was developed for frying! This one stays green for quite a long time on the plant before slowly going to a rather goldish color. You can fry them at either stage. What makes then specific for frying is the ability to hold up under heat with out getting mushy. In addition, the flavor begins to accelerate once cooking begins. That same ability to hold up in the pan translates to holding power in the pan or on your counter. Try one of these, see what you think as compared to just any other Tomato you use at the green stage. Fruit is about medium sized..6 or so ounces. This one is just a trip! Deeply pleated with a great flavor, it is just plain fun to grow. The flavor is very good- mild and well balanced with a true Tomato flavor. In addition, Zapotec is very juicy and meaty. The fun begins when you slice it across its width. Wait until you see these Tomato "Flowers" laying atop your salad! No two are exactly alike. Often very good sized- ours average about 1 lb. This one has been grown for a hundred years and has a huge fan base. It is very good, in fact, super very good at times! This is not a huge surprise since it too belongs in the blackish class. In fact, I will sometimes hear a person refer to it as Cherokee Black. Often the color will be deep purplish brown, sometimes more pinkish. Seems very dependent on temperatures while ripening. Size is variable to in my garden. Some years big- 8 to 10 oz, some years holding at 5-6. Again, this has a lot to do with growing conditions. One thing that normally remains the same is the flavor. You should try it. This is a big beefsteak Tomato..the ones you want for giant slices to slap on your sandwiches. Andrew can do that, and then some! Bright red, sweet and delicious, this one will perform for you. We intentionally do very minimal fertilizing or primping our plants- we want to see what "real" garden performance is- what you can expect if just average care is done. Well, Andrew cranked out plenty of 12-13 oz. perfect fruit. Well over a pound is common with this one if you baby it. We like Andrew. Sometimes something old just doesn't need improvement. Old Brooks is an example. A terrific canner and great as a slicer, this is an all purpose Tomato for sure. Flavor is bright and tangy, size tends to run about 7oz. which is a very respectable weight. Old Brooks is one of those strains that if given extra care, they really shine. We have found that Old Brooks gets a bit cranky when ignored. Keep him watered, fertilized and limed and he will run circles around the youngsters. An 1870 introduction, it has a cutesy story behind it that I am to lazy to tell. You can look it up, rather interesting. Anyway, Trophy is a good, all purpose Tomato that sets in clusters. We usually see them come in at about 6 oz.- they are bright red and usually a bit on the sweet side. Why on Earth would you want a Tomato named Alaska in Texas and Louisiana? Here is why! This is one of the fastest ripening Tomatos you can grow. You will get a ton of these little beauties long before the heat shuts down other long season types. No, they are not big..3 oz is typical but you will get a ton of them, really quick and you know what else? They are quite good! Not quite perfectly round, vaguely Plum shaped. Lenny says they tend to be mostly round for her. A great canner as well as a salad Tomato. This is another of my "orphan" varieties that people snub. Its the name, its just so...green! Lime. Green. Salad. Think about it, nothing even remotely feels Tomatoish, does it? To quote Kermit the frog...It ain't easy bein' green... This is a shame because this little beauty deserves some attention. First, this is one of the best behaved little plants you will ever grow. Short, tight and bushy, a PERFECT container variety. Second, the color- it is green on the outside with a hint of amber when ripe. For a green Tomato, it is very appealing I think. The interior is very intense with a green that I have a hard time describing. Not a meaty variety but instead, a very juicy type with a unique and good flavor. The third thing about this one is that it seems to just keep going, and going and going....I have abused the heck out of this one and it just seems unfazed. The fruit is not big, about 3 oz. which makes it just right for a salad-or snacking out of hand. Tuck one of these in a flower bed or a pot- you might be as surprised as I was when I first grew it. Like Zapotec, this is a very pleated bright red and hugely productive. Difference is that it is smaller than Zapotec. You will have loads of these unusual beauties. What is most fun is when you slice them across the width, producing amazingly shaped rings that will certainly be commented on for their distinct look. They are also sort of hollow so with a quick scoop using your finger, you can have an excellent little stuffer! The flavor is big..very Itallian! This is an old timer...been around since the 1930's and is rarely seen anymore. Sort of an all purpose Tomato! We found it to be very well flavored, productive and easy to grow. I think it would be a terrific candidate for sauce makers or people that can. One thing we noticed was just how truly red it is. For us, it comes in around 6.5 oz. - a great size to work with. Grow some old American history. Need a long keeper? Fantom hybrid might just be what you are looking for. This is a very firm walled Tomato. I was a bit skeptical that the flavor would be the same as something I would buy at Walmart. But no, it was quite delicious! If you are a person who does not eat tons of Tomatos but wants to keep some on the kitchen counter, here you go. They will sit for a long time without going bad. Very easy to grow, high disease resistance. I like Basinga. The color is sort of different from other Yellows, very light but still intense, particularly if grown in Fall. This is a big solid feeling fruit that is in the 8-12 oz. range. The flavor is mild but not bland..just sort of easy going and pleasant. This is a small fruited variety that packs a lot of punch. Perfect for canning or slicing into a salad, Slava will impress you with its earliness and productivity. Really nice favor that you will enjoy. Loads of yummy bright red 2oz. fruit will keep you busy from this old variety from the Czech Republic. Has the Potato leaf trait that adds to its appeal. This is a nice little hybrid that you will find easy to grow. Margo does not sprawl all over, instead, calm, bushy growth to about 30 inches. The fruit are medium sized at about 5-6oz. with a good, balanced flavor. Perfect as a canner or a small slicer, you should be pleased with this variety overall. Lenny particularly likes Margo. Actually, this variety is in the blue/purple class but it gets too complicated. This is a smallish fruited type that will often times stun you with its production. The coloration is unusual and pretty. The top of the fruit will be rather darkish blue/purple shading down to a pinkish red at the bottom. Each fruit is a bit different and coloration depends on several things as I have found. The cooler it is, the bluer it is! We grew these as a Fall crop and wow! So very intense was the blue color along with the white(unripe) bottoms. That, combined with an absurd amount of fruit on the plant that it was toppling over from the weight was quite a sight. The flavor is pretty mild in Summer, in Fall it is more intense. The fruit seems to average about 2oz. or so- not big, but there sure were a lot of them! Grow this one and it will certainly catch your gardening friends attention. Created by Double Helix Farms in Conroe, Ar. This is a big, beautiful yellow with often intense reddish pinky striping running down the length. A beefsteak type, you can assume you will be picking 1+pounders most of the time. This is a slicer supreme! Plants are big, along with the fruit. This is a very old heritage variety that has been passed down for generations. Another interesting one from Double Helix. The predominant color is purplish with darker shoulders shading down to a more reddish base. I notice some blue in it as well. A medium sized fruit, about 5-6 oz., it has been very productive for us. Overall, it is just plain pretty. The flavor is good for it class of color too. Like its cousin, Ozark Sunset, the color really amps up in cooler conditions. It think this one is just a must have for the person looking for something besides the same old thing. Another of the giant multi-shaded beauties that are so good on a sandwich. Hillbilly hails from West Virginia (as do a lot of other old heritage varieties) and has been handed down since the 1800's. I guess I would call it a dark orange with an erratic pattern of muted yellow, pink and red. Even the interior has unique shading. Also known as Hillbilly Potato Leaf, it has, guess what? The Potato leaf trait! Quite productive for a big one. Here is a Tomato that along with some others on our list, just cant get any traction. I always suspect when that happens, it is the name that is a turn off. I must admit, the word "Tropic" just does not inspire me either! Here is the thing- this variety was developed by the University of Florida to withstand high disease pressure and humid heat. Guess what? That would be us. Large, about 8oz- along with thick, meaty walls, it has substance. In addition, it is very well flavored. It is balanced. Not to sharp, not to sweet. Possibly you have had some issues growing Tomatos in the past, give this one a shot- see what you think. This is a hybrid that I have never grown. New for us this year so I will hold back on any judgments. A light red, very large beefsteak type with good flavor is about all the information I can provide for now. Being a hybrid, you can assume it will be healthy with a lot of vigor. As a rule, those are traits of hybrids..stamina! Ok, here is one you ought to consider- very highly regarded for flavor and beauty. Mid sized at about 6oz. this pink beauty is in a lot of peoples lists as one of their top 10. Sweet, thin skinned and productive this Swiss (Swiss? weird...) taste treat should be in your garden this year!! This is a very rare strain. Quite large, ribbed beefsteak style fruit. Often there will be some orangish coloration on the shoulders though overall it is deep red. You can figure on a lot of one pound fruits, sometimes larger. I suspect there are two strains of this variety circulating- one sounds nothing like this (the correct) one. Fruits are very thin skinned and delicate with a rich, full bodied flavor. Can't just find this one anywhere! Originally from Poland, this is a big, sweet dark pink delicious Tomato! I always think the pinks have the best flavor- of course that is a totally subjective thing. You will find most fruit hovering at the 1 lb range. I have not had any problems growing it. A great slicer for sure! Another one from Poland- in fact, its synonym is "Polish Torpedo" which I kind of like lol. Anyway, Opalka is technically a paste type fruit but the flavor is so good you can use it any way you like. Can it, dice it, slice it...its all good. These fruit are longer than a typical Roma type, around 5, sometime 6 inches. You will notice the plants have a peculiar wispy type foliage. I have encountered this type foliage on a handful of other varieties we grow. Kind of unusual. This big orange is both mine and Lennys' favorite in its class, hands down. Big, kind of ruffled 1 lb fruit nearly glow when you cut them, the beautiful orange color runs right thru the fruit. The best part is that typically, orange and yellow colored Tomatos tend to be on the mild side. Not so with Persimmon. Super full of tangy flavor, you would be hard pressed to call this one mild! A terrific slicer, you just ought to take my word for it and grow one for yourself. For fresh eating, Burbank is total crap. It shines, however, as a productive canner or sauce Tomato. Primarily this is because it has a very low juice content- good for when you need to cook a Tomato down. Lots and lots of smallish, 2 oz. oblong fruit. Ahhh...now here is a Tomato for the person who likes "different". This, along with Evergreen, were the first heritage type tomatos I ever grew back in the 80's. Sold by the first company to offer these remarkable strains long before it was cool, Glecklers changed the way I thought about Tomatos. Great White is one of those that always seem to be on peoples "To grow" menu. This is simply because it is unusually good. Huge fruit seem to just keep coming- the flavor is super good, particularly for a white. I never seem to notice any problems with this plant, it is strong and robust. You should grow at least one of every color class. Why? When your friends come over, put a plate out of sliced tomatos of every color. It is so beautiful it will make them do a total double take. Only "Lotus" has ever come close to Great White in my opinion.